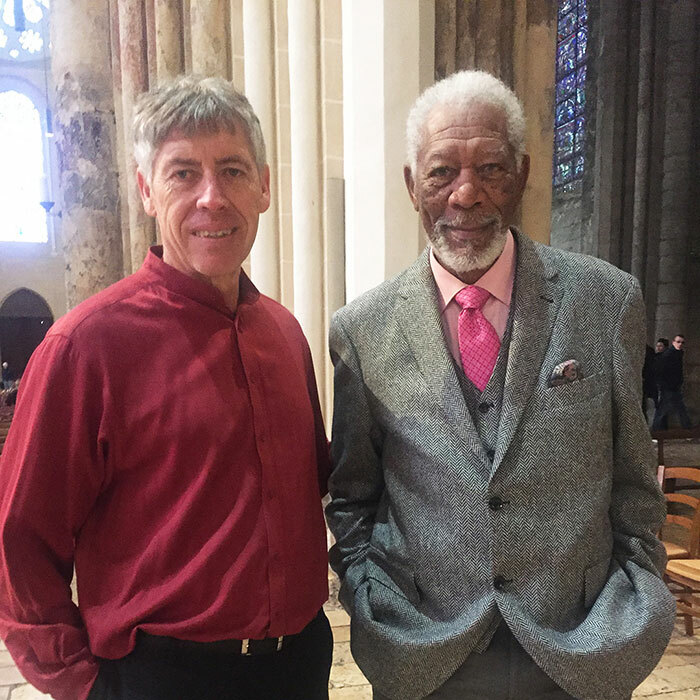 Julio Bermudez, a professor in the School of Architecture and Planning, is appearing in the episode “Visions of God,” part of the third season of The Story of God with Morgan Freeman. The episode will air on the National Geographic channel on March 19, 2019. The documentary series explores various cultures and religions, particularly regarding beliefs about God or a higher being. Bermudez was invited on the show because of his research on the neuroscience of contemplative buildings and the phenomenology of sacred spaces — how sacred architecture and spaces are experienced by a person. In the episode, Bermudez takes Freeman through the Chartres Cathedral in France and discusses how sacred architecture can be a gate to God. The program was shot in November 2018. Watch the trailer of Season 3 below.